Defective by Design is celebrating one decade of the Day Against DRM by launching a timeline of ten years of anti-DRM activism, and asking you to help us extend it into the future. It's not too late to join us on social media to imagine future victories against DRM, using the hashtag #HowDRMDies. All images CC BY. See more on our GNU MediaGoblin instance. On the Day, US activists set up a lunch meeting with the World Wide Web Consortium to implore them not to build a universal DRM system into the Web. 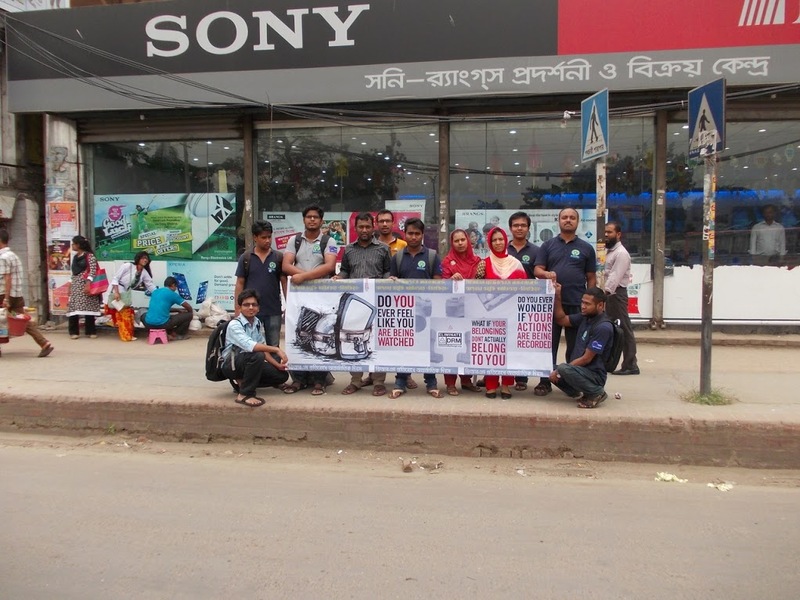 A group in Dhaka, Bangladesh set up a huge banner about privacy and restrictions in front of a Sony store. Italian anti-DRM organizers repeated what's now become a tradition of 8-bit music parties for the Day. Bloggers and writers spread our message through the net, with noted scifi writer Cory Doctorow publishing an article in The Guardian. And more organizations participated than any other year, broadcasting the message of the Day Against DRM to tech policy, literary, free culture, and hacker communities. DRM-free bookstores O'Reilly, Packt Publishing, Leanpub, No Starch Press, and the Pragmatic Bookshelf made their own statement by offering promotions for the day, some of which are still ongoing as of the time of writing. This was an empowering and memorable tenth anniversary of the International Day Against DRM, and the unprecedented participation shows our efforts to raise public awareness about DRM are working. But our work is far from over. 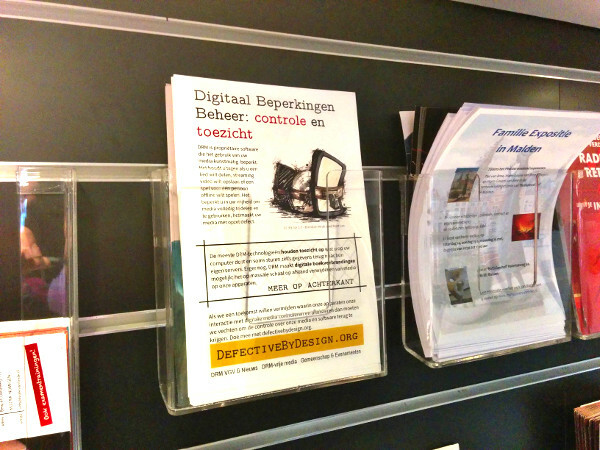 We need to keep sharing educational resources about the problem of DRM, taking action, and supporting DRM-free media. If you can spare $10 or $15 to help us hire more staff for our tiny Defective by Design team, we'd love that too. 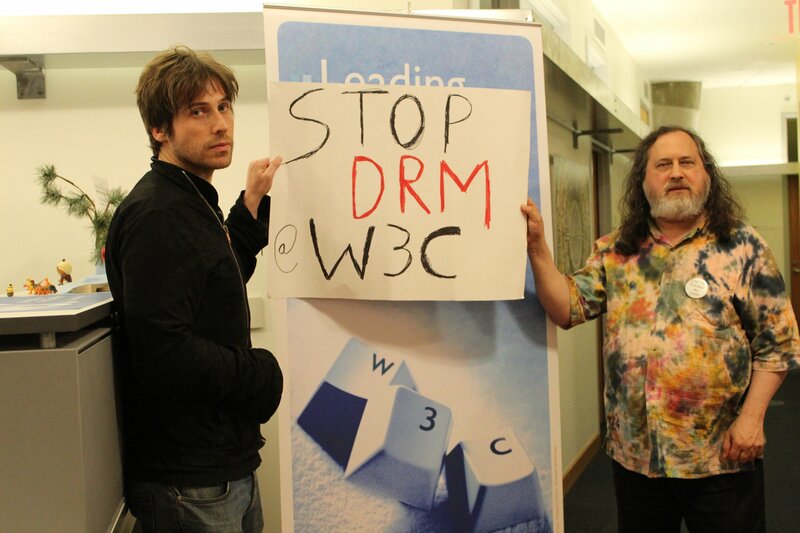 We'll be announcing the planning of the next International Day Against DRM soon. To be notified when we set the date, and to make sure you hear about International Day Against DRM events in your area, be sure to sign up for the announcement mailing list. Defective by Design organizers and community members are also in our freenode IRC channel, #dbd, year-round. Come and chat with us! Interested in organizing an event or media sale next year?